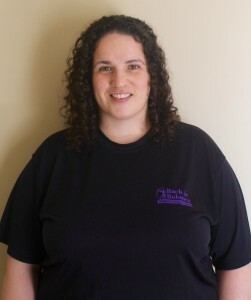 Sherri received her massage therapy training from The Center for Natural Wellness School of Massage Therapy in Albany, NY and is a professional member of the American Massage Therapy Association. Her areas of expertise with advanced training include deep tissue, Swedish massage for relaxation and stress reduction, hot stone therapy, medical/injury massage, lymphatic facilitation,myofascial release and energy work. Sherri’s approach is gentle and compassionate, as she seeks to create a sense of calmness in sessions, incorporating varying techniques and pressure. She works with clients to understand and address issues of chronic tension in the body, encouraging client empowerment and self-care between sessions, as well as the benefits of massage. Her goal for each massage is to nurture the client by reducing the aches and pains of stressed muscles, improving mobility, and allowing for a sense of ease and well-being within the body.